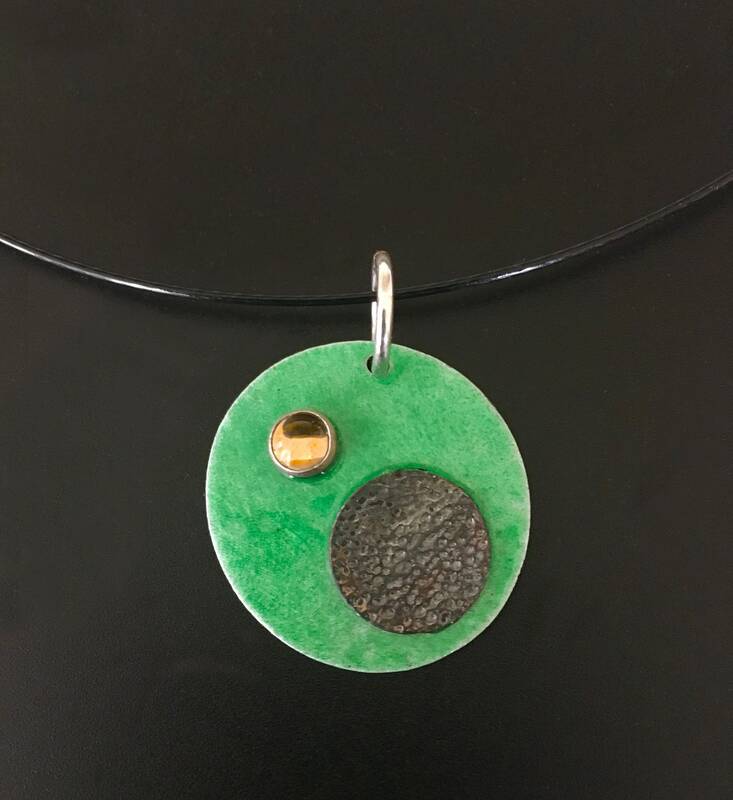 Lightweight & casual EnamelArt pendant features an assymetric circle of Sterling Silver embellished with vivid green transparent vitreous enamel and an oxidized & textured bronze circle, as well as one round 5mm bezel-set Citrine cabochon. Pendant is suspended by a heavy Sterling ring to a black coated steel 16” neckwire with magnetic clasp. Pendant measures approx. 27 X 33mm.